Are you looking forward to cooler weather and hot coffee? While I love the sunshine, fall time is one of my favorite times of the year. In-between coordinating new [pre]school schedules, home projects, and my career, sometimes I like to find a moment and simply enjoy all things fall– because who doesn’t smile at their first sip of pumpkin? I am a total nerd, but fall spices, are delicious in coffee beverages. 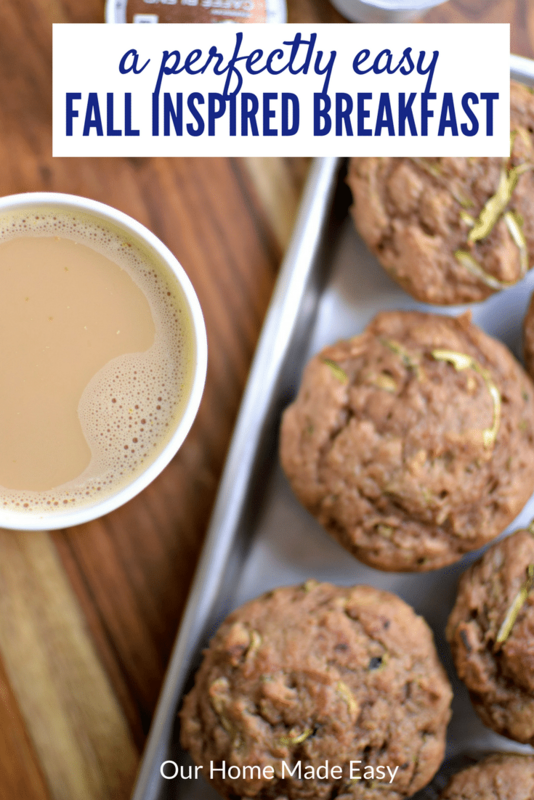 Today, I am sharing an easy fall breakfast and coffee for you to enjoy once you get to your desk. 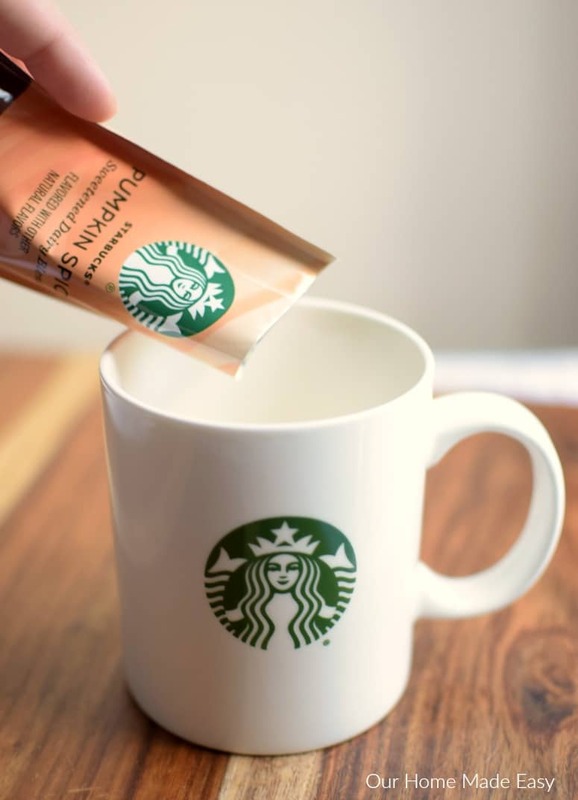 We always think of Starbucks® Coffee as the quintessential brand for all things pumpkin spice. 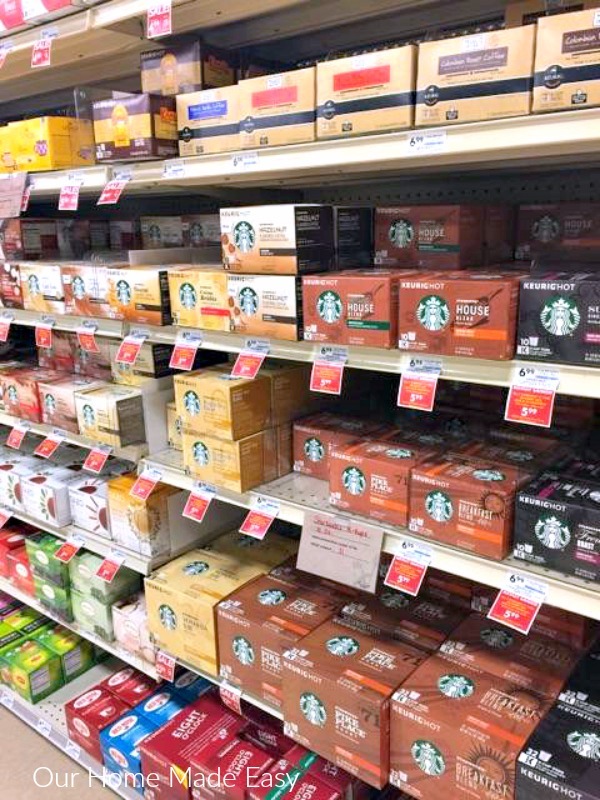 For busy moms like us, Starbucks® Pumpkin Spice Caffè Latte K-Cup® pods available at Giant Eagle are ideal. 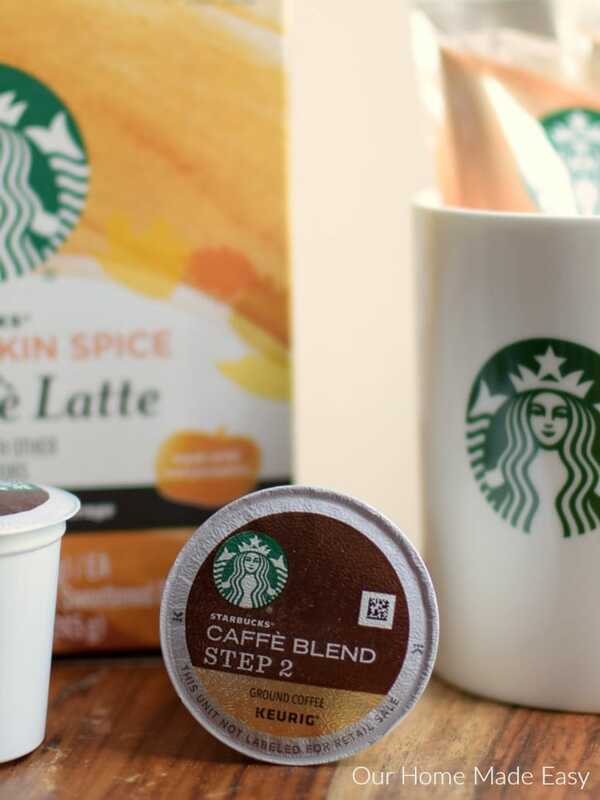 The Starbucks® Pumpkin Spice Caffè Latte K-Cup® pods are the perfect combo of great tasting coffee, and fall flavors. This tasty 2-part coffee beverage is not just a traditional K-Cup® pod. It’s a Caffè Latte K-Cup® pod that comes with pumpkin flavored tube of delicious goodness that you pour into your coffee mug before you fill it with the K-Cup® pod coffee. 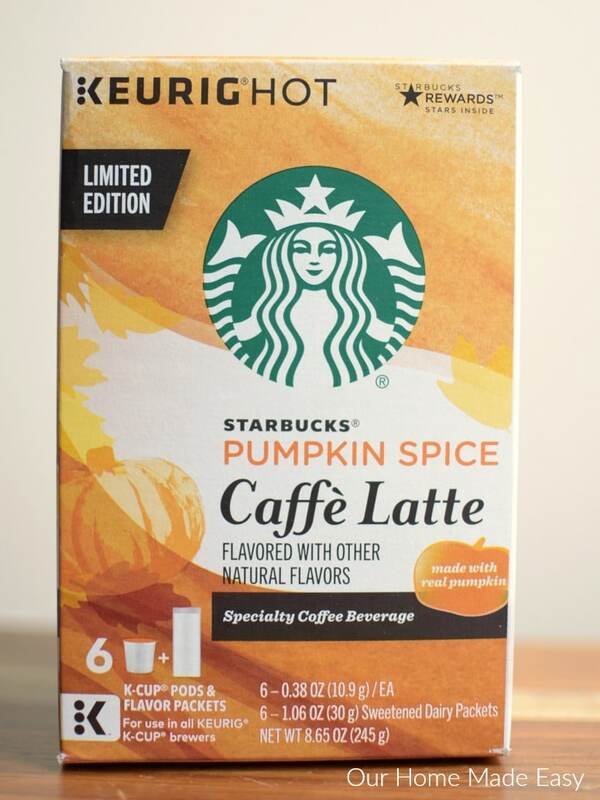 I’m already in love—it tastes just like fall in a cup! What Pairs Perfectly with Busy Moms & a Simple Fall Breakfast? When it comes to breakfast, I am known to skip it or toss a protein bar as I run out the house with Jordan & the kids. I felt like the Starbucks® Pumpkin Spice Caffè Latte K-Cup® pods deserved something equally spiced– but easy enough for me to enjoy in the mornings. 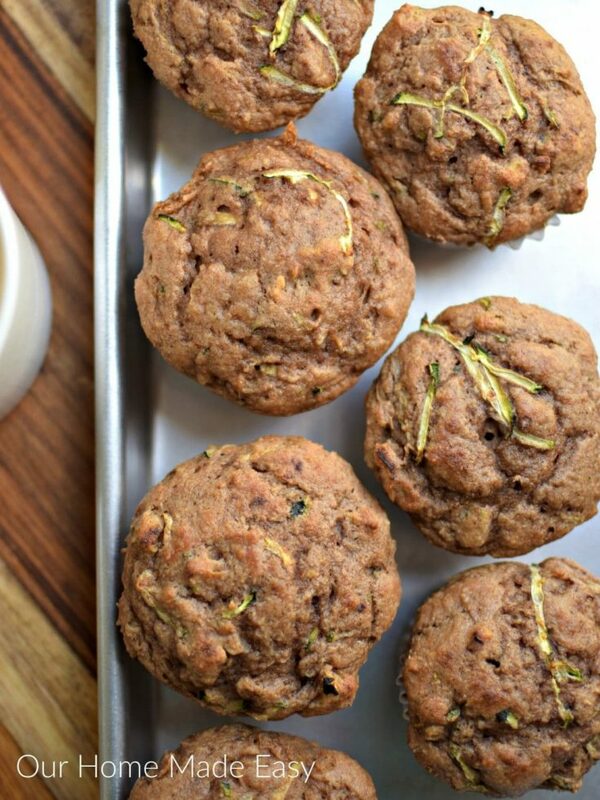 These little muffins are only 4 ingredients and are perfect for freezing. They are a no-excuse way to enjoy an amazing breakfast– even as a mom on the run. I like to freeze them after baking them and pop them in our microwave at work to enjoy them warm. 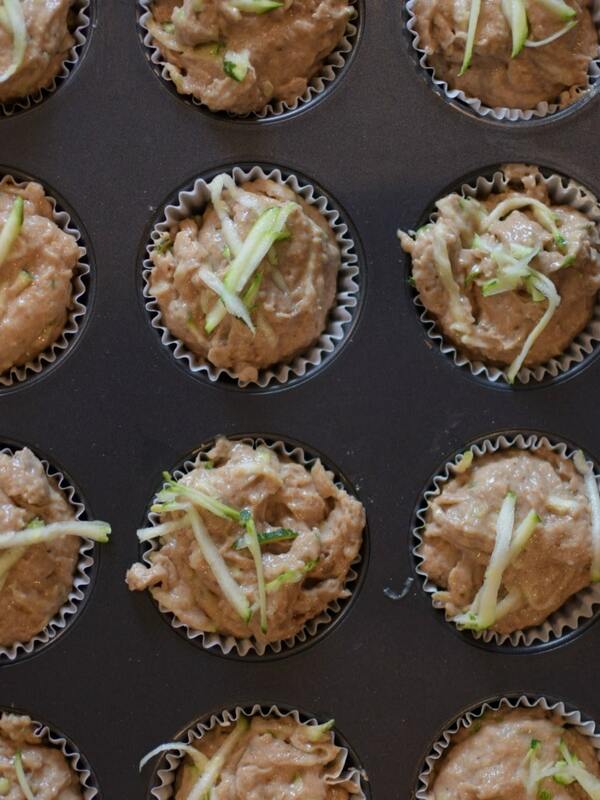 After I mix the muffins together and scoop them into the muffin pan, I like to add any leftover shredded zucchini pieces to the top. These pieces make the final appearance look more bakery-esque than busy mom style. 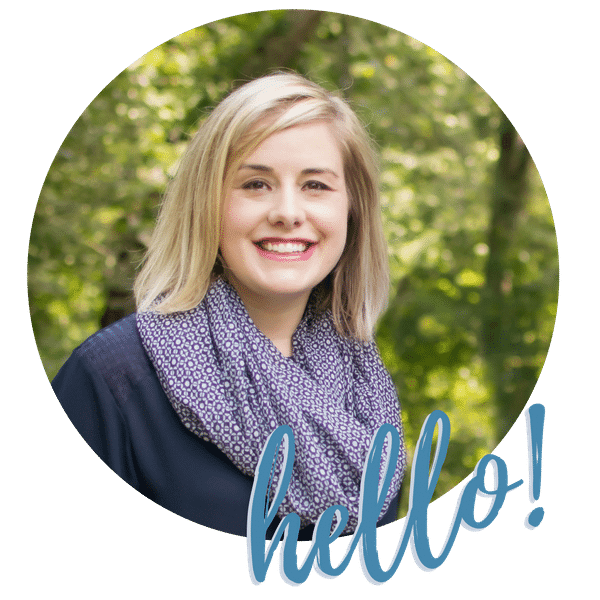 Anything I can do to give myself a treat– without actually running more errands is a win for me! Lastly, as the muffins come out of the oven, I broil them for 2-3 minutes. 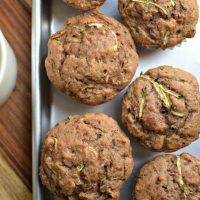 Since the mix is traditionally thinner than most muffin mixes, the broil gives the top a harder crisper texture but leaves the inside perfectly cakey. Watch them for over-browning! Taking a moment for yourself doesn’t need to be hard. 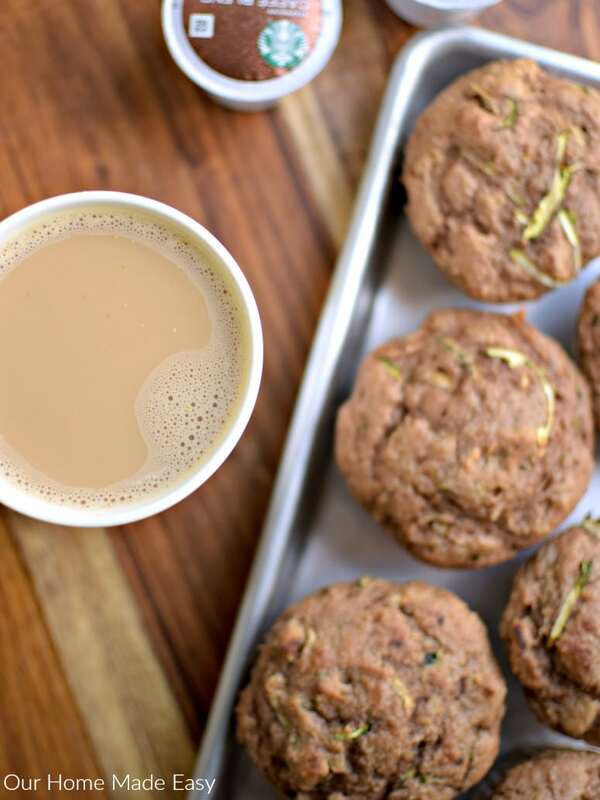 Bake up these easy muffins and enjoy a Starbucks® Pumpkin Spice Caffè Latte K-Cup® pods. When it’s time to pack lunch for the day, be sure to add some muffins and Starbucks® Pumpkin Spice Caffè Latte K-Cup® pods. Don’t feel guilty for enjoying a warm fall breakfast and a hot cup of spiced coffee while you read through your emails. You deserve it! 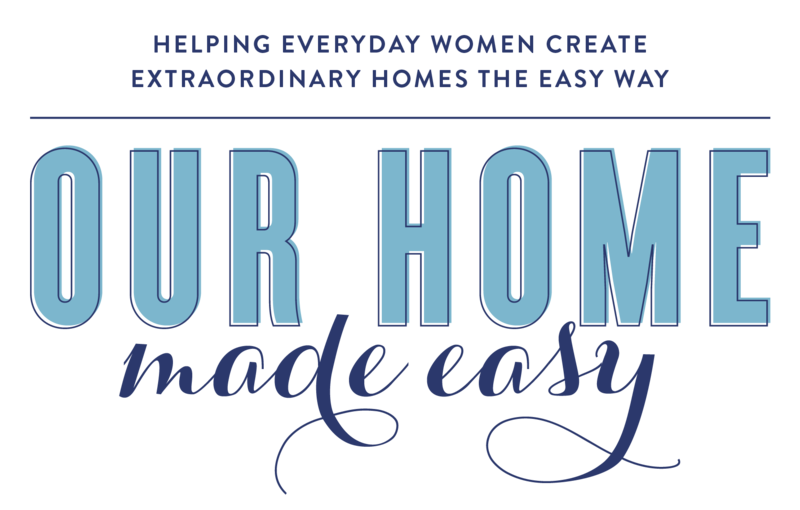 This recipe is perfect for baking up on the weekends, freezing, and warming up during the week! 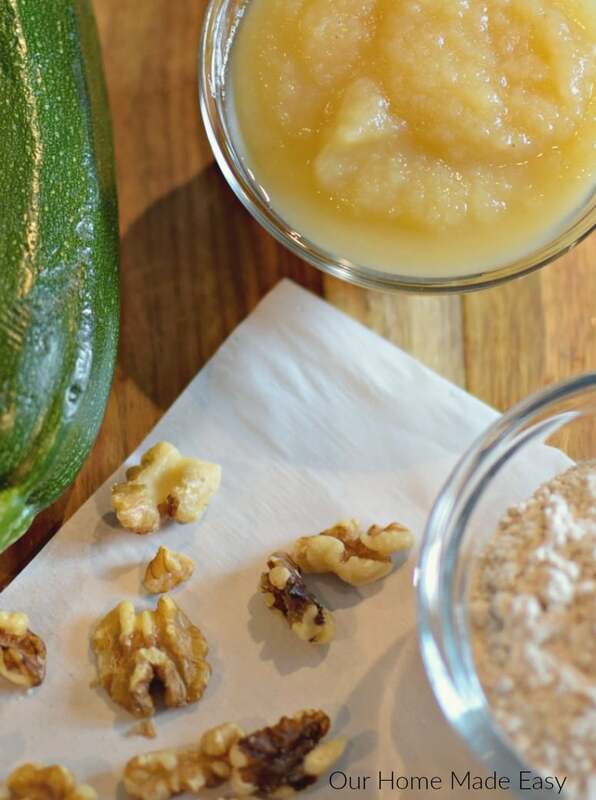 Mix together the Spice Cake mix and Applesauce until just combined. 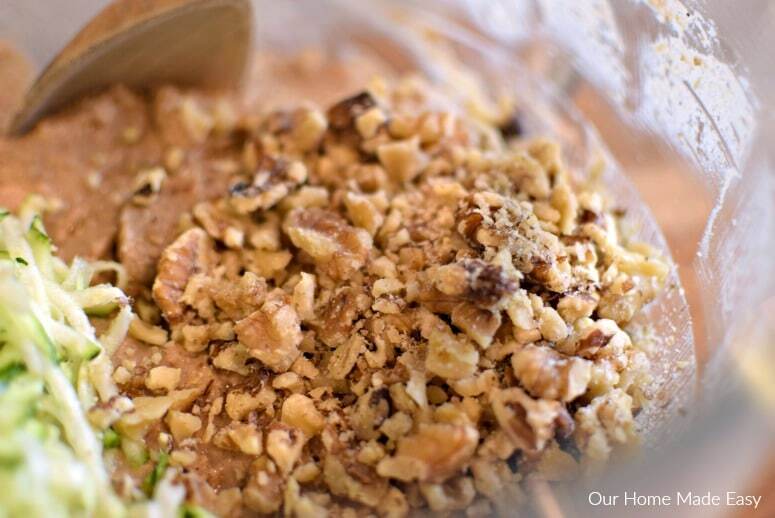 Fold in Zucchini and Walnuts. Stir until just combined. Scoop into paper lined cupcake pan. Bake for 17-21 minutes or until clean toothpick appears. Freeze immediately or store for 3 days. Warm in microwave for serving.